So we did not get to surf yesterday or kayak today, however the weather conditions did not stop us enjoying the beautiful winter’s day at Belongil Beach, Byron Bay. Elvira, Jonael and Hidehiro braved the sandbank crossing and made it out the back to body surf some dumpers! 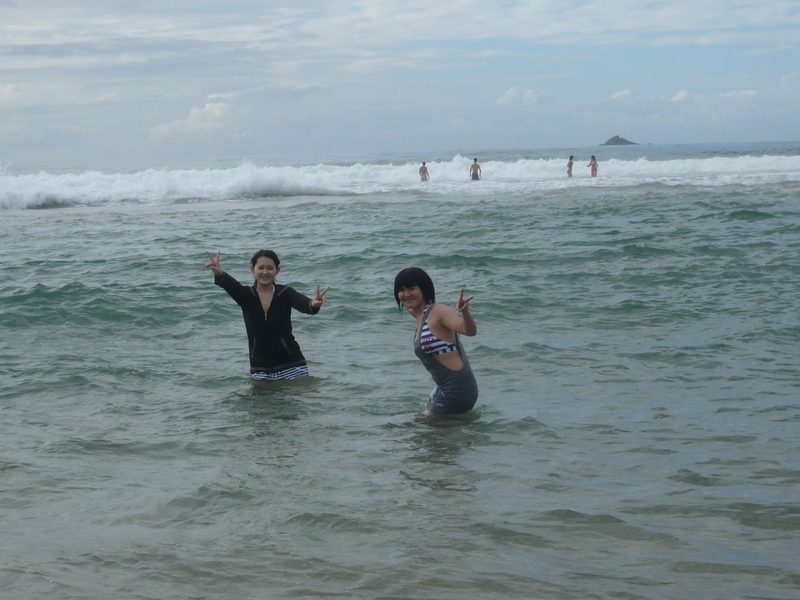 Belongil beach in Byron bay is really beautiful beach. Thanks for sharing.